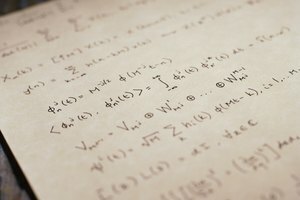 Does it Take a Lot of Math to Get an Engineering Degree? Mechanical engineers must take advanced math courses. 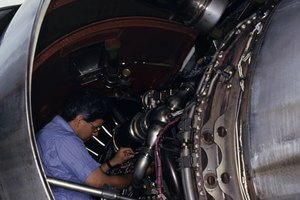 Undergraduate college students pursuing degrees in mechanical engineering must pass several high-level math courses to meet degree requirements. A first-level calculus course is required and serves as a prerequisite for future, more advanced math classes. 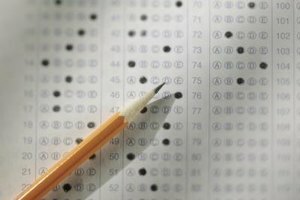 Some math classes are taken alongside science classes, such as physics, because the material is complementary. Mechanical engineering students are required to take Calculus II and Calculus III as part of their course curriculum. Some advanced calculus courses for engineering majors have a strong emphasis on analytic geometry, according to Florida State University. Advanced calculus classes cover such topics as applications and methods of integration, infinite series, the representation of functions by power series and parametric curves in the plane, according to New York University professor Alexander Hanhart's Calculus II course requirements for 2013. Each advanced calculus course generally takes one semester to complete. Many mechanical engineering programs, such as the one offered at Syracuse University, require students to take a linear algebra math class. Linear algebra focuses on linear equations and vectors. Even though linear algebra is still considered "algebra," it's much more abstract than first- or second-level algebra courses. Linear algebra focuses on differential equations, spatial rotations and least squares fitting, according to Wolfram MathWorld. A linear algebra course generally lasts one semester. 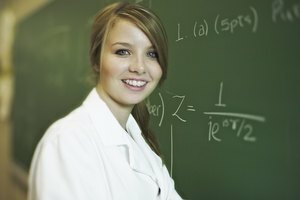 Most undergraduate engineering students are required to take a math course specifically designed for engineering students called engineering math. However, some schools allow mechanical engineers to take a similar course called differential equations, according to Florida State University. These are upper-level courses and are generally taken by juniors or seniors. They focus extensively on differential equations and the derivatives of functions, so calculus is a prerequisite. Each engineering-specific math course takes one semester to complete. Not all mechanical engineering programs require a course in probability and statistics, but many do. For example, Syracuse University requires all mechanical engineering majors to take the course. Florida State University allows students to choose a probability and statistics course as part of their math elective requirements, but other math courses are also available. Mechanical engineering students must choose a probability and statistics course that relates to engineering and the sciences. A first-level probability and statistics course doesn't usually satisfy mechanical engineering math requirements. 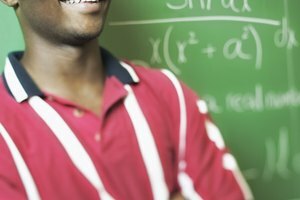 What High School Courses Should One Take if Interested in Aeronautical Engineering? What Is the Signifiance of the Universal Symbol on Apple's Mac Application Program? Tucker, Kristine. "What Math Classes Above Calculus Do Mechanical Engineers Need?" Synonym, https://classroom.synonym.com/math-classes-above-calculus-mechanical-engineers-need-17864.html. 26 September 2017.